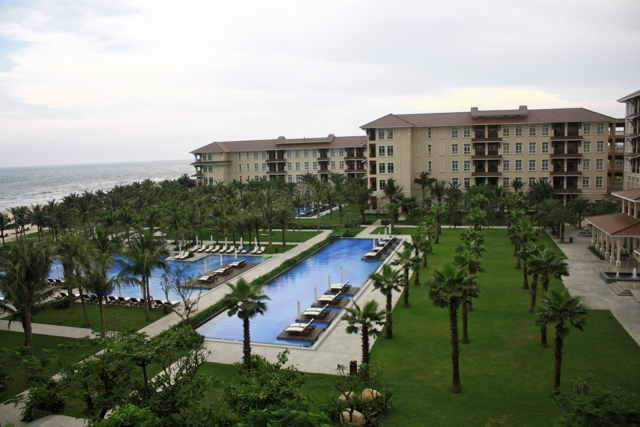 Last month, during a trip for site inspection, I had a chance to observe some of the 5-star resorts at one of the world’s best beaches. 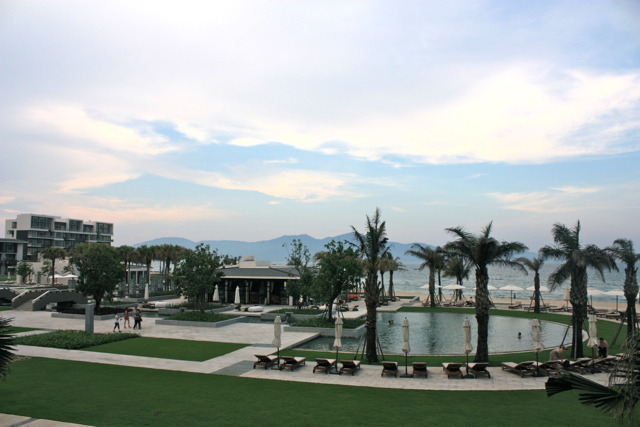 Not talking about business, personally I’m impressed with the inclusive services and packages of Furama, and the friendliness of Hyatt Regency Danang’s staff. Fusion Maia was our first site. My first impression was the nice mix between white and purple as their main colors. The hallway from entrance to the main site is pretty long if guests have to walk, but I guess they want to avoid the noise. The only thing that remains in my mind after visiting them is their differentiation strategy – free usage of spa service. Not competing with other resorts on M.I.C.E. 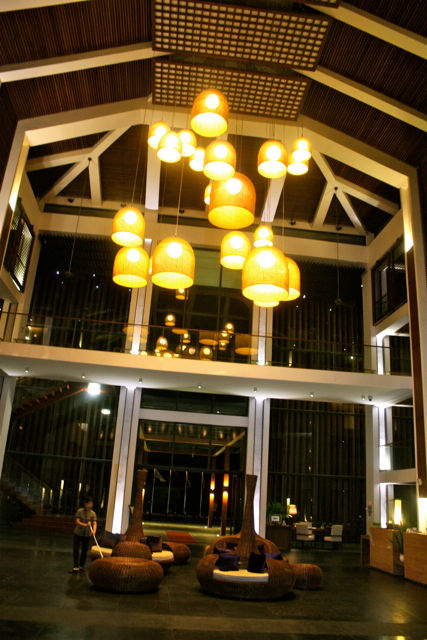 segments, Fusion Maia focuses on providing leisure services to their guests. I was told that they bring the same concept of Vinpearl from Nha Trang to here. The front entrance is huge, with ‘dry’ bricks-n-walls. I do not really like the design as I already feel so packed by looking at the doors and rooms. 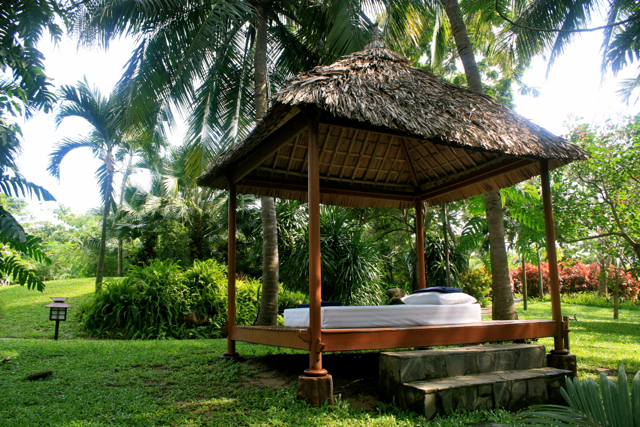 Resort should be meant for the place of relax and unwind. 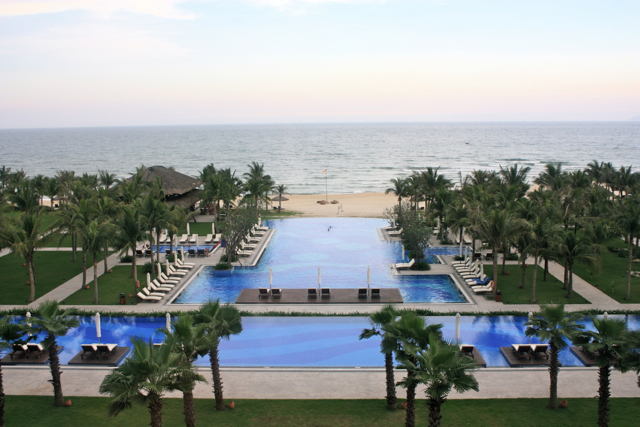 Maybe the target customers of Vinpearl Luxury Danang are different from other resorts. Maybe they want to focus on customers that coming here for conferences? That could explain why they have more hotel rooms than villas. They might also impress the guests by their smart electronic devices (e.g. ordering extra services, food, etc. through smartTVs). As a guest staying at the resort for relax, would that be appealing to you? 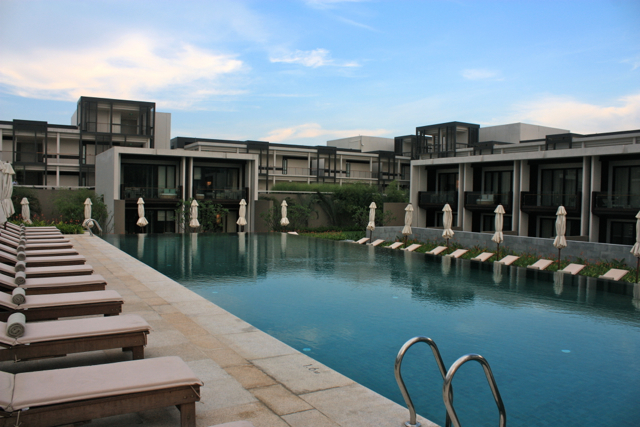 Sunrise is located in Hoi An. 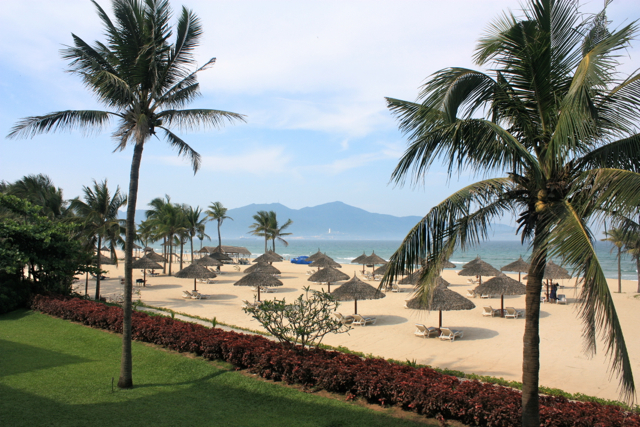 Resorts in Hoi An now has to face the challenges of erosion. The beach of their resort is becoming narrower. 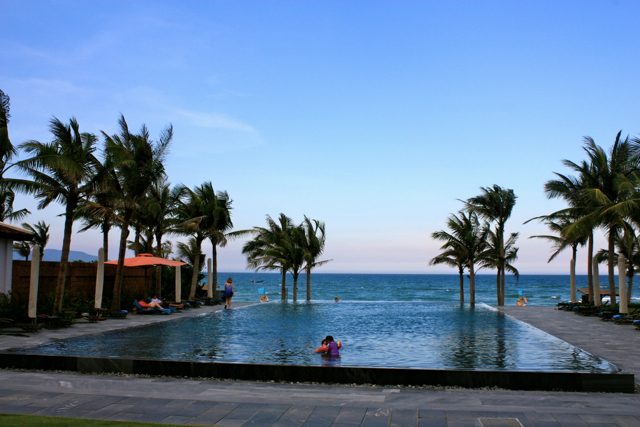 And of course, that means resorts in Danang can take advantage of that. 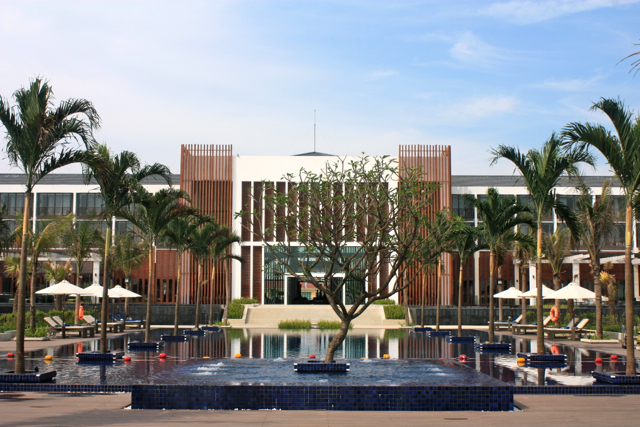 Furama is the first 5-star resort in Danang. It was built in 1997 so it has much more experiences in organizing events, conferences, etc. Though other resorts might be newer, Furama is proud of their full services so that it can cater for different demands of guests staying here. Their beach is also among the nicest. 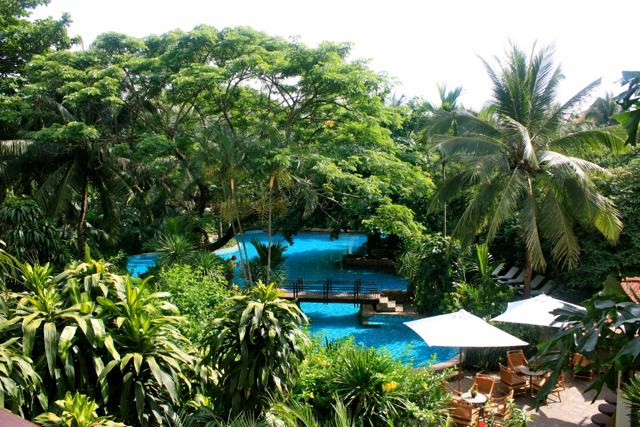 The resort is like a forest, full of trees. 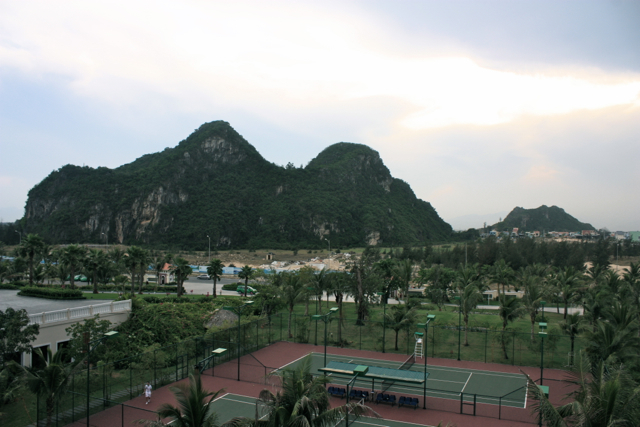 This is another differentiation as other newer resorts might not have the same amount of trees being planted. I personally feel so emerged with nature when walking around the resort. Hyatt Regency is so different! You can tell by looking at their design and architecture. 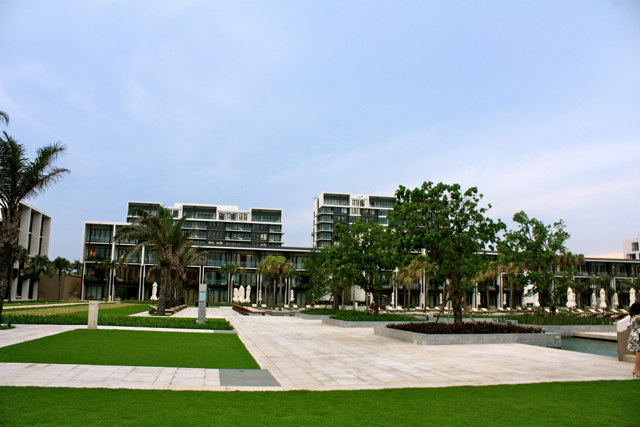 Some people say they don’t like it because the resort looks like apartment buildings. I do have different opinion because this set Hyatt apart from others. Their main colours (grey, white and brown) are inspired from nature and that encourage guests to truly relax while staying here. I had a chance to have dinner at one of their 3 restaurants and that was really good too. I had dinner at the Furama a few years ago and thought the food and ambiance were great. I would’ve liked to have stayed and did the whole pool / beach thing! The Hyatt looks quite good as well. Probably priced to match, though! However, it all come down to customer service and how the staff treat guests during their stay. How was your experience? Heya i’m for the first time here. I came across this board and I find It really helpful & it helped me out much. I am hoping to give one thing again and help others such as you helped me.